Okay, it’s not that I’m trying to make people envious. It’s just that coincidences and improbabilities seem to pop up more in the Pabloverse than in most other places. Case in point: last night, Devon and I were having dinner with my old Cambridge housemates T & M at a friend’s place. M is a wonderful writer whose fearless spiritual prose is a constant inspiration to me. 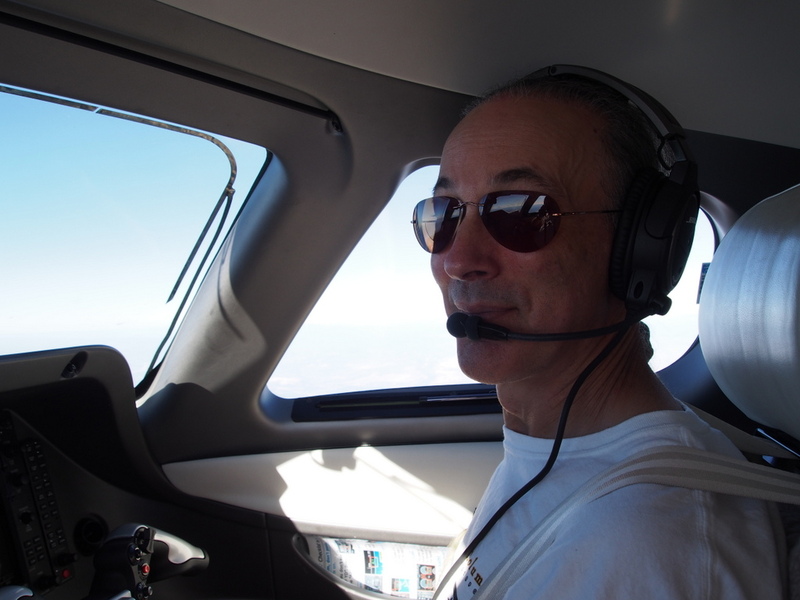 T – in addition to being a physician – is a pilot’s pilot: a precise and professional hand on the stick, as well as a calm, cool flight instructor with almost every rating I can think of (I don’t think he’s rated for zeppelins, but that’s about it). Anyhow, the flight itself was remarkably short. It’s roughly a six hour drive to Ashland from Palo Alto, and the Deb can fly it in just under two. Total flight time in the Phenom? Something like 37 minutes. Lined up on KOAK 29, pushed the “GO” levers forward and kept us on the center line while T called out airspeeds. Both hands on the yoke at V1 – at that point we were committed to fly unless we hit a moose or caught fire. Pulled back gently at Vr to line up the chevrons on the flight director, and from there it was just playing a video game in the sky. A 10,000 pound, pressurized jet-fuel burning video game hurtling through the sky at 350 knots. I continued “hand flying” for ten or so minutes once we got to altitude, but as I said, the Phenom’s twitchy as all get-out, and keeping it within 200 feet of assigned altitude meant no time to look at the scenery outside. 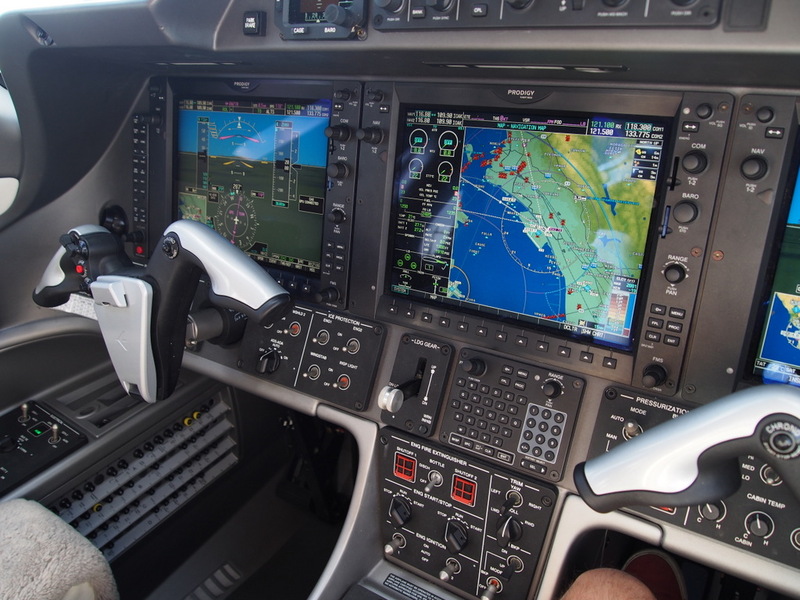 So we put the autopilot on and sat back a bit to let “George” (why are autopilots always called “George”?) do the work. I’ve got to say: the level of digital automation in this plane is spectacular – three enormous screens and an flight computer that would make HAL blush. It measures and integrates the weight of fuel in each tank, then spits out appropriate V-speeds for the temperature and elevation of the current field. 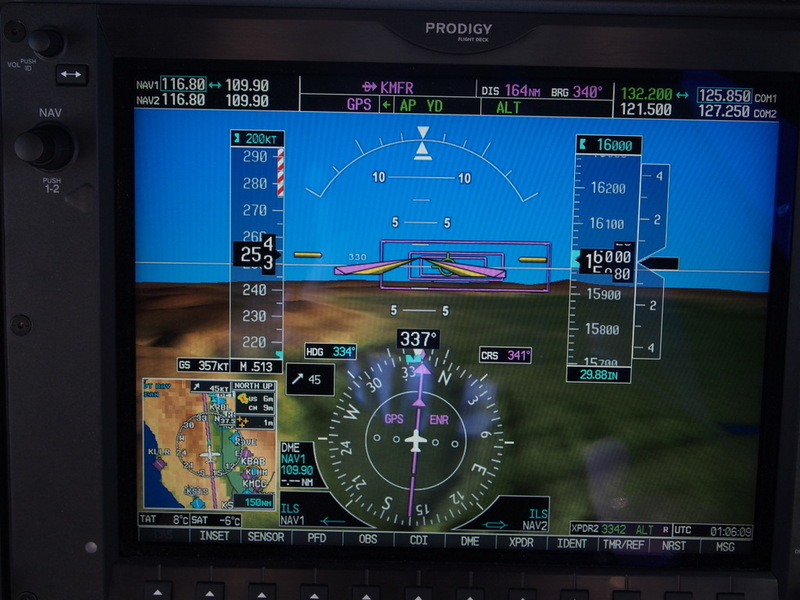 The flight director – with synthetic vision – shows you precisely where to point the nose for every stage of flight, or does it all for you if you tap the “autopilot” button at top center of the panel. Phenomenal automation. 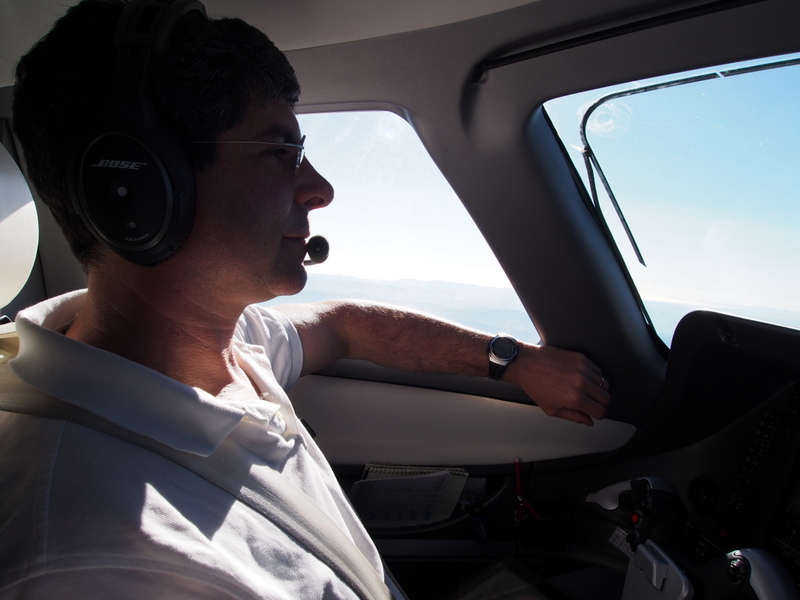 When it was time to land at Medford (Ashland’s runway’s not quite long enough for comfort), T showed me how to dial in the descent profile and line up for the visual approach. We popped the autopilot off and, for the first time in the flight, I could fly the plane without fixating on the glowing numbers. I could look out at the runway below us, and turn and swoooop towards it. Ooh, that was fun. 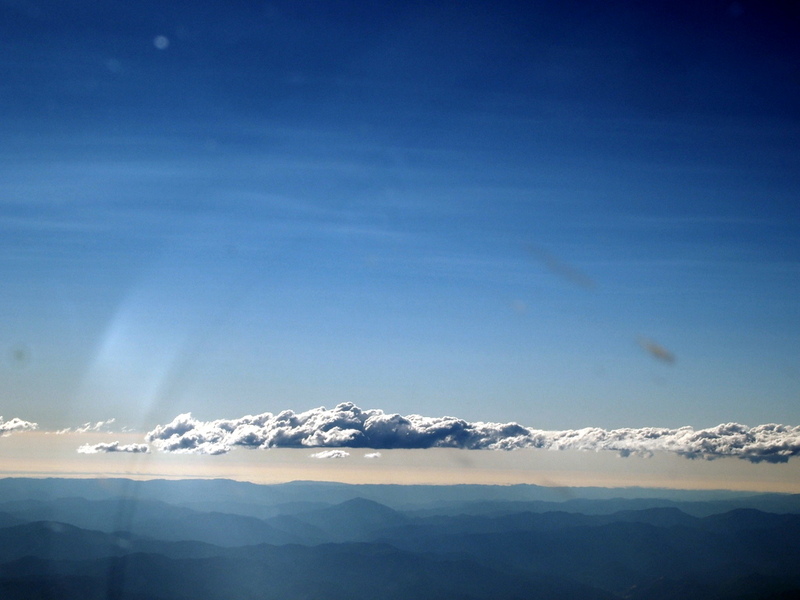 Swooooooping down over the southern Siskiyou range, banking and yanking to line up with Medford’s Runway 32. In a jet. Did I mention I was flying a jet? T had briefed me on how he was going to talk me through the landing (“What?!? I’m going to do the landing?” “Yeah – you have a problem with that?”) and, I’ve got to say, it actually worked. He says he stayed off the yoke the whole time (I don’t believe him), but he called out airspeeds and altitudes as we lined up, and I kept us on the VASI all the way down. Bit of a left crosswind, which I corrected for, then throttles to idle at 50 feet, and all I had to do was land the pointy metal glider. Turns out that you don’t flare the Phenom on roundout – you just hold the sight picture and let settle in at (I think) 94 knots. Kicked the crab out with a slight left wing low slip for the crosswind, and waited for the left wheel, then right to touch. Held it straight while the nose cames down, and braked gently straight ahead. (Digital fly-by-wire brakes, by the way, don’t want you to pump them or they get confused). High speed taxi off to the left and while T switched to ground, and there we were. There was applause coming from the back, and it took me a while to realize that I hadn’t actually breathed since the gear came down. Anyhow. We’re in Ashland for a couple of days, on short notice. Still figuring out what’s next. 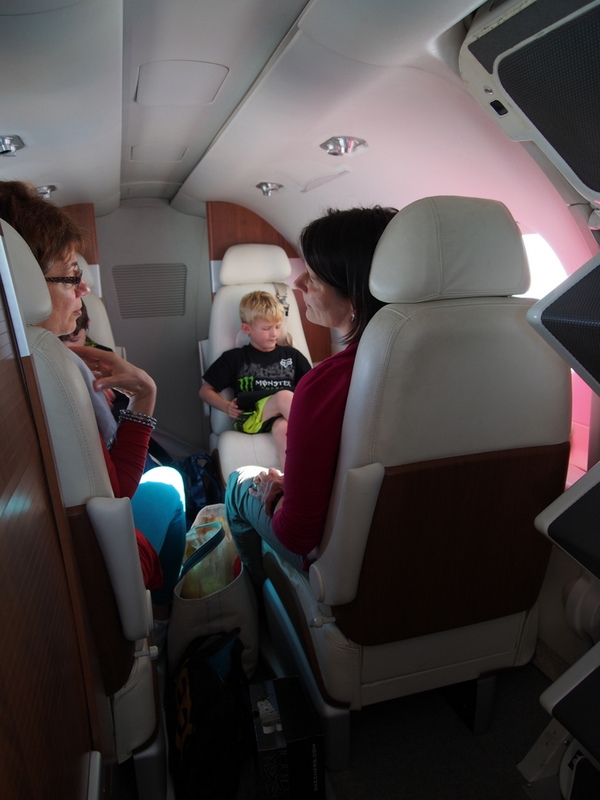 But hey – did I mention that I got to fly a jet? I was hanging around PAO one evening and I saw a King Air near the terminal with its stairs down and no one around. I stuck my head in and the pilot walked up behind me and asked if I want to fly right seat for three night takeoffs and landings. I grabbed my headset and off we went. Ahyup! As Pasteur wrote: “Chance favors the prepared.” I’d still love to get a chance to fly a King Air; my guess is that the instantaneous thrust would be quite a rush. Another great experience for your life logbook.